I have been asked on numerous occasions, who my favourite photographers are. There are so many photographers producing fabulous work but it is rare that someone's images actually inspire me to try new techniques or see the world from a different perspective. Often I will admire the beauty of a shot but seldom does a photographer elicit a true sense of wonder, not just for the skill with which they have achieved the shot, but for the entire vision which went into its creation. This page serves simply to share the inspiration these few guys have given me. There will always be a beer in my fridge for them. Probably the undisputed king of landscape photographers. 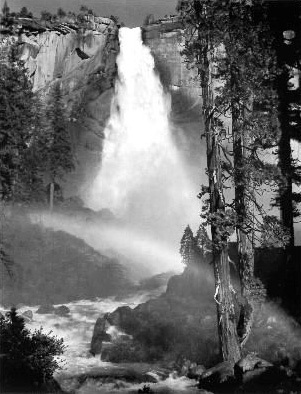 Ansel Adams influenced so many people and his work always reminds me not to complain about walking for miles with tons of equipment. He used to shoot with heavy large-format cameras, capturing images of stunning beauty and grandeur in ridiculously hard-to-reach places. He gets a column of his own because in some way, he probably influenced any photographer I could put on this page. When Stephen Dalton's book Caught in Motion was published in 1982 my photographic life changed forever. It wasn't that I even tried to take the same sort of pictures, it was that my vision of whatever I was going to shoot became more rounded. I have a maxim that I always offer when asked for photographic advice: Do you take a picture or do you MAKE a picture? It was after seeing Stephen's work that I started to make my photographs. Many good photographers shoot high-speed images these days but what sets Stephen apart (aside from the fact that he pioneered many aspects of the techniques and technology we take for granted today) is his relentless perfection, nothing is unconsidered. Others usually have the subject as all-important with background and composition secondary. Stephen makes it all count, giving a rich sense of place and environment. With moving animals, even in controlled conditions, balancing light and exposure with good subject to background composition is no mean feat. On top of that, it is virtually impossible to tell when he has shot in the field or in the studio - an even bigger feat. 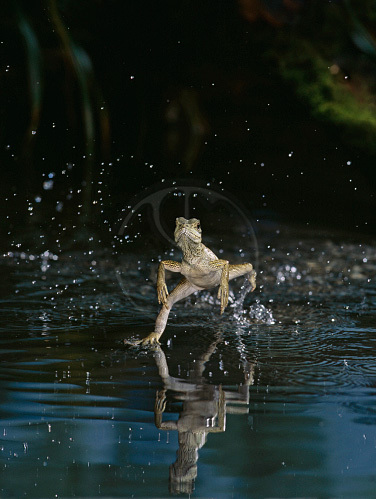 Whether you are a naturalist or a nature photographer his work is both thrilling and educational. He is to nature photography, what David Attenborough is to nature documentary, showing nature lovers things they had never seen before and photographers the standards to which they should aspire. If you don't have any of his books, go out immediately and buy them. 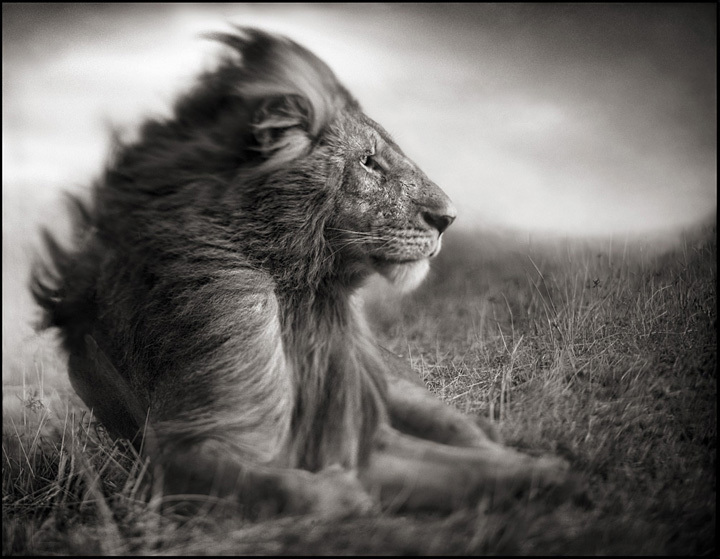 Nick Brandt's African wildlife photography is an art form out on its own and no-one captures sheer majesty in quite the same way. Aside from his technical mastery, the understanding of his subjects just pours from every image. Another remarkable aspect of Nick's work is that he doesn't use telephoto lenses. With that in mind, take a journey through his portfolios and remember that he is often working within feet of his subjects. Perhaps the adrenalin gets locked into every photograph, which is why they could almost take you by the shoulders and shake you into sharing the drama. Nick inspires me on many levels. His creation of the final image is meticulous and sublime, showing what wonders can be performed when you have a vision. Principally though, it's the presence. Every naturalist lives for those close interactions with wildlife and all of Nick's images make you feel involved rather than just being an onlooker. Truthfully I don't know what he's doing or how he does it and I can't think of another photographer like him. I can't mention Nick's work without writing something about Big Life Foundation. Poaching in Africa is increasing at an alarming rate. It hardly seems possible but of Elephants alone, around 35,000 are killed each year in the illegal ivory trade. Other animals are killed for bush meat or skins, Zebra, apparently being the latest fad in Asia. Nick established the non-profit foundation in 2010 and already they are doing fantastic work. The battle against poaching is more vital than ever and it is dangerous and costly.